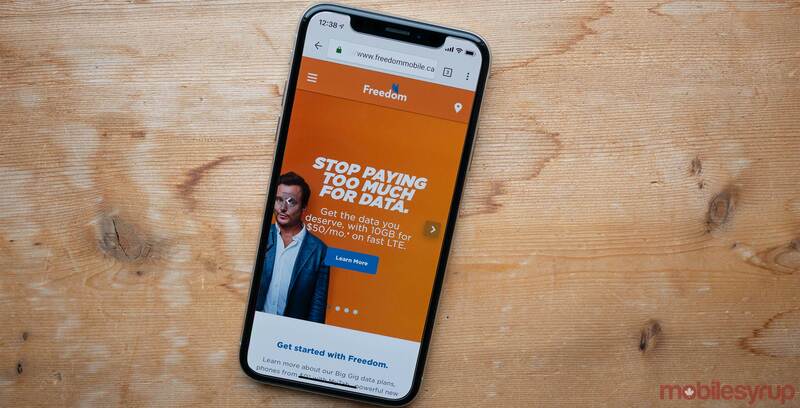 Freedom Mobile has switched up its ‘Big Binge’ bonus data offering and is now providing less data than before. The Toronto-based regional carrier introduced its Big Binge data program during the holidays last year with offers ranging from 40 to 100GB of extra data. Now, the Big Binge bonus is only available on five plans, and across the board, you’ll get a 50GB bonus. New and existing customers who sign on with a ‘Big Gig + Talk’ $65 10GB plan, $85 15GB plan or $105 20GB plan will receive the bonus 50GB. Previously, this was 100GB. All of these plans come with unlimited Canada-wide calling and global texting. Further, users can get the 50GB bonus by activating a $75 15GB or $95 20GB Big Gig data plan, which includes unlimited global text but pay-per-use calling at $0.05 per minute. Additionally, all of these plans currently benefit from Freedom’s monthly 2GB data bonus if you activate in-store. Moreover, all these plans are applicable for Freedom’s ‘Digital Discount,’ which gives customers $5 off per month if they set up Auto Pay. As before, the Big Binge bonus is a set pool of data that doesn’t refill on a monthly or annual basis. Customers will draw from their monthly data pool first, and dip into the bonus data once their monthly data runs out. When you use up your Big Binge bonus, it’s gone. While disappointing to see the 100GB bonus go, a 50GB bonus is nothing to sneeze at. Over a two year contract, that works out to a little more than an extra 2GB of data each month. To learn more, and to see which plans Freedom has on offer, you can check out the carrier’s website here.